It’s Tobi TV Wednesday again, and today we’re sharing the next in a series of videos created by interior designer Tobi Fairley, in which she uses the home design featured in our June issue to offer advice on how to use her techniques in your own home. This video is all about how to make the best–and most beautiful–use of your kitchen space. Our Kitchen & Bath issue is packed full of design inspiration and this kitchen features a sleek design that is big on style. For homeowner Diann Hurley, who had recently downsized, a simple style with abundant storage was high priority, so she traded lower cabinets for drawers. A trio of beaded pendants from Lighting Emporium brings in the room’s red accent color along with a touch of glamour. Sleek, wood-and-metal barstools offer low seating without disturbing the view into the adjacent den. Both the embossed crocodile countertops and the articulating faucet—which is operated with a joy stick—are conversation starters on the kitchen’s large island. We’ve gathered a few items to help you get the look. 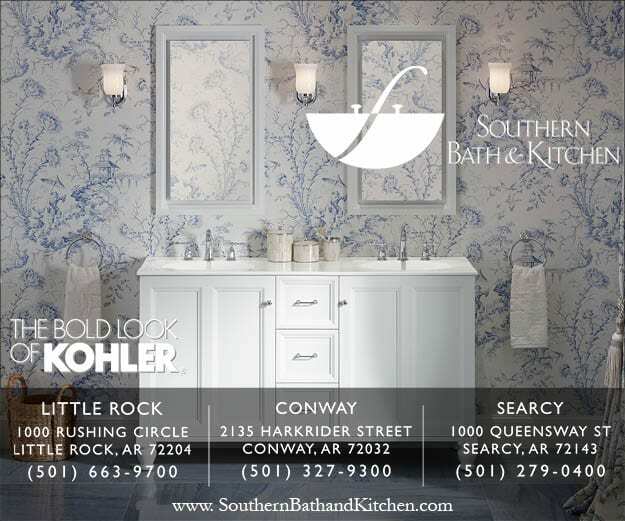 Read the full story online here or find a copy of the September “Kitchen & Bath” issue on newsstands. It’s almost the weekend and if you’re planning to do any remodeling or decorating, this French-Country inspired kitchen might just be the inspiration you need! To homeowner and interior designer Amber Doggett, tranquility at home is a top priority. She uses a low-contrast color palette of light neutrals, which creates a serene atmosphere throughout her home. In the kitchen, the island is finished in an aqua tone, posing a restrained—yet playful—contrast to the rest of the cabinetry. They also used accessories minimally with a point to not fill up the house with a lot of stuff. 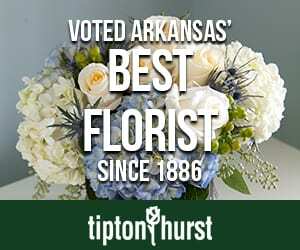 Get the look with our product roundup or contact Doggett through her store, Vivid Designs in the Pleasant Ridge Shopping Center in West Little Rock. Find the full story online here or grab a copy of the new August issue on newsstands now. It’s almost the weekend and if you need some kitchen inspiration, you’re in the right place. This beautiful European-inspired kitchen is our Room of the Week, designed by sisters Talena Ray and Mona Thompson of Providence Design. The heavily-veined granite countertops combined with the diamond-shaped, mixed-stone backsplash give the kitchen design color and movement. Ray and Thompson commissioned the iron light fixture centered over the island. This kitchen also features custom kitchen cabinets with a blue-gray glaze reminiscent of the patina of antique painted furniture. We’ve rounded up a few items to help you get the look. Read the full story online here or find a copy of the June issue on newsstands. Today’s color cues come from this Southwestern-meets-Tuscan style kitchen seen in our April issue. This before and after transformation was designed by Kathryn LeMaster of Kathryn J. LeMaster Art & Design. Homeowners Jessica and Clay Barber are parents to five boys and needed to completely rethink their kitchen space. By removing a divisive dining peninsula, adding banquette window seating and removing some upper cabinets, she was able to improve traffic flow and balance out the space. LeMaster also introduced an airy color palette to help create the illusion of a more spacious room. She carefully selected materials, such as chestnut hardwood floors, distressed mango-wood breakfast table, bronze hardware, understated travertine herringbone-pattern backsplash and earth-toned granite countertops, along with turquoise and orange accents, which all add to the Southwestern flair in this traditional space. Be sure to read the full story online here. You’ve seen the before and after images of this fun family space in our April issue. Designer Kathryn LeMaster maximized space and functionality for a family of seven in a complete overhaul of their breakfast/kitchen/office area, the hub of their home. This banquette-anchored breakfast nook is really a focal point of the room, and it brings together the earthy-yet-bright palette of rusts, oranges, aquas and neutrals. Knowing that there will be times when this space could use a style freshen-up–whether with a change of season or for a special occasion–LeMaster has equipped them with everything they need to mix up the look a bit. These very simple changes make the space more lively and casual and much more summery! Small changes can make a big difference. Are there spaces in your home that could use a little fresh energy like this now that spring has arrived? This Little Rock kitchen marries the home’s old-world style with modern convenience. As seen in our January/February issue and designed by Massimo Interior Design in Little Rock, the kitchen was designed around this beautiful slab of granite which has a deep blue veining. On the back wall, a built-in cabinet was made to resemble a stand-alone cupboard. Do you have cabinetry in your kitchen that is painted to stand out? If so, what color? Read the full story online in the January/February issue here or find a copy on newsstands. Who doesn’t love a good before and after photo story?Â You can see the down and dirty beginnings, the possibilities for transformation, and then the satisfying end result. Because we love them as well, we highlighted two major makeovers in our Sept. issue. A similar story for this dark kitchen in Rogers, where gourmet cook homeowners hankered for something light and modern. Photos by Nancy Nolan and Rett Peek.